This Blog/Web Site is made available by Shulman Rogers for educational purposes only as well as to give you general information and a general understanding of the law, not to provide specific legal advice. By using this blog site you understand that there is no attorney client relationship between you and the Blog/Web Site publisher. The Blog/Web Site should not be used as a substitute for competent legal advice from a licensed professional attorney in your state. Lawyers, like all providers of personal financial services, are now required by law to inform their clients of their policies regarding privacy of client information. Lawyers have been and continue to be bound by professional standards of confidentiality that are even more stringent than those required by law. Therefore, we have always protected your right to privacy. to respond to your inquiries and fulfill your requests, such as to send to you publications that you request or to register you for events. to send legal updates and mailings to you relating to seminars or events that we think may be of interest to you, in accordance with applicable law. to keep a record of your contact information and correspondence, and use it to respond to you, if you contact us by e-mail through the Blog. to send to you administrative information, including information regarding the Blog and changes to our terms, conditions and policies. to provide services, including the provision of seminars and other events. to allow you to send Blog-related content to a friend through the Blog; by using this functionality, you are telling us that you are entitled to use and provide us with your friend’s name and e-mail address. for our internal business purposes, such as improving or modifying the Blog and operating and expanding our business activities. as we believe to be necessary or appropriate: (a) under applicable law, including laws outside your country of residence; (b) to comply with legal process; (c) to respond to requests from public or government authorities, including public or government authorities outside your country of residence; (d) to enforce our terms and conditions; (e) to protect our operations or those of any of our affiliates; (f) to protect our rights, privacy, safety or property, or that of our affiliates, you or others; or (g) to allow us to pursue available remedies or limit the damages that we may sustain. We retain records relating to professional services that we provide so that we are better able to assist you with your professional needs, and in some cases, to comply with professional guidelines. In order to guard your nonpublic personal information, we maintain physical, electronic, and procedural safeguards that comply with our professional standards. Please call if you have any questions, because your privacy, our professional ethics, and the ability to provide you with quality legal services are very important to us. Changes to the Blog. We may, at any time and with or without notice, temporarily or permanently modify, suspend or discontinue the Blog in whole or in part; charge fees in connection with the use of the Blog; modify and/or waive any fees charged in connection with the Blog; and/or offer opportunities to some or all users of the Blog.. You agree that we are not liable to you or to any third party for any modification, suspension or discontinuance of the Blog, or of any content, feature or service offered through the Blog. Your continued use of the Blog after such changes will indicate your acceptance of such changes. Links. The Blog may provide links to other websites, blogs, and online resources. Because we have no control over such sites, blogs and resources, you acknowledge and agree that Shulman Rogers and the Affiliated Entities are not responsible for the availability of such sites, blogs and resources, and Shulman Rogers neither endorse nor are responsible or liable for any content, information, advertising, products or other materials on or available through such sites, blogs and resources. Other websites may have provided links to the Blog with or without our authorization. You acknowledge and agree that Shulman Rogers do not endorse such sites, and are not and will not be responsible or liable for any links from those sites to the Blog, any content, information, advertising, products or other materials available on or through such other sites, or any loss or damages incurred in connection with any of the foregoing. Your use of public-party websites, blogs and resources, including your use of any content, information, advertising, products or other materials on or available through such websites, blog and resources, is at your own risk and is subject to the terms and conditions of use applicable to such sites and resources. We will have the right, at any time and in our sole discretion, to block links to the Blog through technological or other means with or without prior notice. Disclaimer of Warranties. The blog and any information, content, and materials made available through or in connection with the blog are provided to you “as is” without any warranties of any kind, whether express, implied or statutory. You agree that you must evaluate, and that you bear all risks associated with, the use of the blog, including any reliance on the accuracy, completeness or usefulness of any information, content, and materials available through the blog. Shulman Rogers and the affiliated entities disclaim all warranties with respect to the blog and any information, content, and materials available through the blog, to the fullest extent permissible under applicable law, including the warranties of merchantability, fitness for a particular purpose, non-infringement, and title. Limitation of Liability. 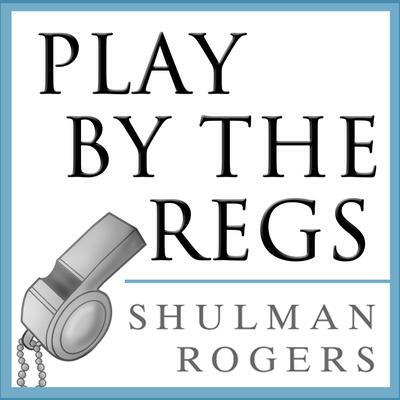 Shulman Rogers and the affiliated entities will not be liable for any indirect, incidental, consequential, special, exemplary or punitive damages of any kind, under any contract, negligence, strict liability or other theory, including damages for loss of profits, use, data, loss of other intangibles, loss of security or information you have provided in connection with your use of the blog, or unauthorized interception of any such information by third parties, even if advised in advance of such damages or losses. In particular, and without limitation, Shulman Rogers and the affiliated entities will not be liable for damages of any kind resulting from your use of or inability to use the blog or from any information, content, or materials by us or any third party. your sole and exclusive remedy for dissatisfaction with the blog is to stop using the blog. The maximum liability of Shulman Rogers and the affiliated entities for all damages, losses and causes of action, whether in contract, tort (including without limitation negligence) or otherwise, will be the total amount, if any, paid by you to Shulman Rogers to access and use the blog. While we try to maintain the integrity and security of the Blog and the servers from which the Blog is operated, we do not guarantee that the Blog will be or remain secure, complete or correct, or that access to the Blog will be uninterrupted. The Blog may include inaccuracies, errors and materials that violate or conflict with this Agreement. Additionally, third parties may make unauthorized alterations to the Blog. If you become aware of any unauthorized third-party alteration to the Blog, contact us at info@shulmanrogers.com with a description of the material(s) at issue and the URL or location on the Blog where such material(s) appear.